Samsung has just officially unveiled the Samsung Galaxy S6 with an all New Metal-frame design and Dual-Glass panels (font - back). The new combination of materials works great indeed and the Galaxy S6 is arguably, the most beautiful Galaxy smartphone to date. However, this time around the Galaxy S6 isn't dust and water proof though. 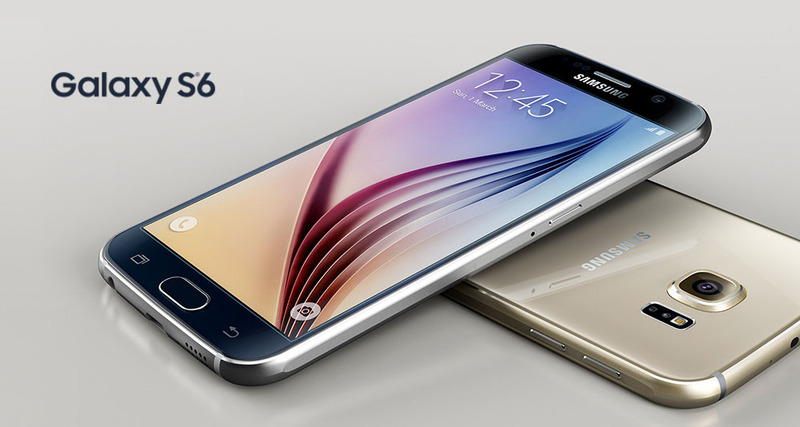 Samsung Galaxy S6 packs a 5.1" Super AMOLED screen with Quad HD resolution resulting into the amazing 577 ppi density. It is protected by the latest Corning Gorilla Glass 4. The hardware Home key once again doubles as fingerprint sensor and supports the new Samsung Pay service. 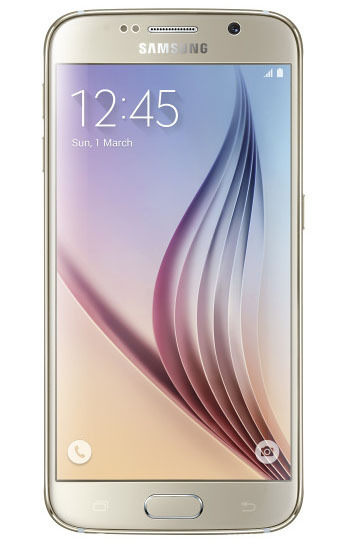 Samsung Galaxy S6 duo comes with a new ISOCELL camera sensor with 16MP resolution. The camera is enhanced with optical image stabilization, phase detection autofocus and has a single-LED flash. Quite expectedly, 4K video recording is supported. 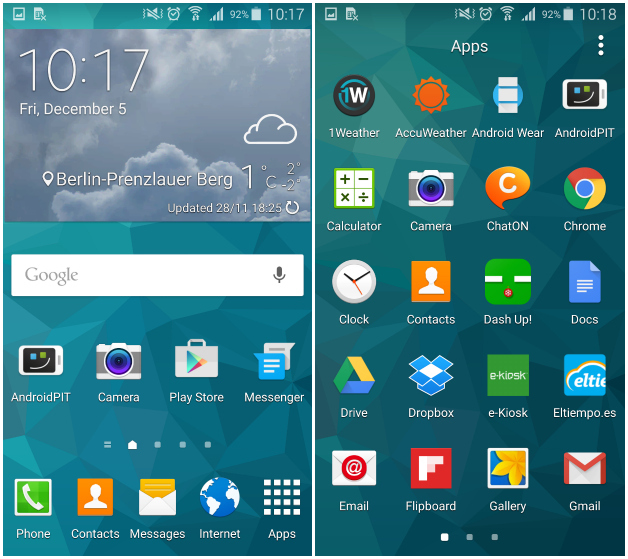 Finally, the Galaxy S6 runs Android 5.0.2 Lollipop Out-of-the-box enhanced with the latest TouchWiz UX with Material design and cleaner interface and lost of new features included on the new TouchWiz UX. This time around Samsung has partnered with Microsoft, instead of Dropbox, and will be offering 115GB OneDrive storage for 2 years to each Galaxy S6 user. The S6 is powered by the Samsung's own 64-bit Exynos 7420 chipset, built on a 14nm process and thus more energy-efficient and producing less heat compared to 20nm Snapdragon 810. Samsung Galaxy S6 will launch on April 10th in 20 markets, followed soon by even more countries in May. 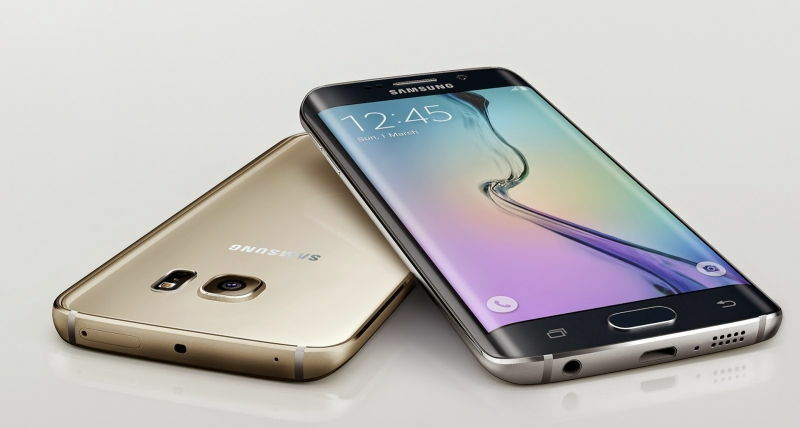 The Galaxy S6 will be available in White Pearl, Black Sapphire, Gold Platinum, Blue Topaz. 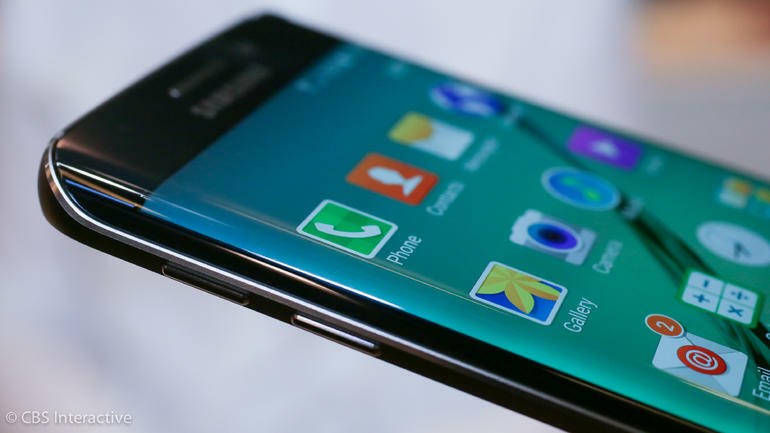 The long-rumored Samsung Galaxy S6 Edge+ is expected to be announced alongside the Galaxy Note 5, possibly by August,13th. We still haven't got all the info regarding the Edge+ variant yet. According to the latest reports, the Samsung Galaxy S6 Edge+ will pack a 4GB RAM along with the Exynos 7420 SoC chipset, same as the Galaxy Note 5. The Battery capacity is also reported to be a 3,000 mAh cell (unremovable). 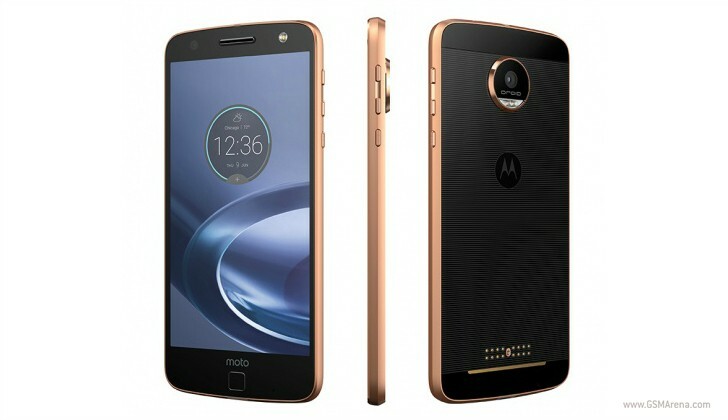 As for the device's design, it will have a very thin body keeping the same front-back glass and the dual-edged curved display. Stay tuned for the official announcement next month. Samsung shows off the latest processor Exynos 8 Octa to compete with Qualcomm's Snapdragon 820. Samsung says that Exynos 8 Octa 8890 will go into production by the end of the year, so it is very likely that it will be used in Galaxy S6's successor, ex. 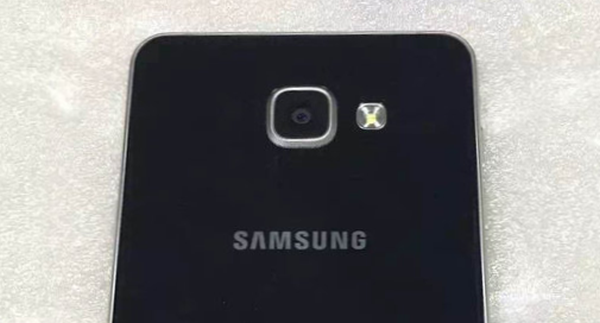 the Galaxy S7, which will probably debut in the first quarter of 2016. Like the Exynos 7420, the new Exynos 8890 is an octa-core, 64-bit chip based on ARMv8 technology and manufactured using a 14nm FinFET process, while the 7420 featured four ARM Cortex-A57 CPU cores and four lower-power Cortex-A53 cores, the new chip is the first to pair four of Samsung's own custom ARMv8 CPU cores with four Cortex-A53 cores as it's the company's first premium chip to feature an integrated LTE modem with upload speeds as high as 150 Mbps and maximum download speeds as much as 600 Mbps. The new chip supports display resolutions up to 4K UHD (4,096 x 2,160px), even though the existing Exynos 7420 has support for such displays, but we haven't seen a device with one just yet. 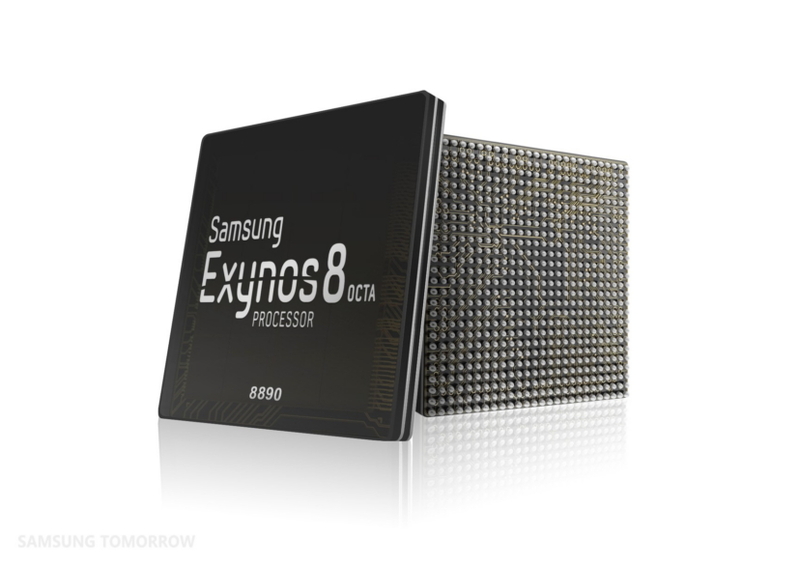 Samsung plans to begin mass production of the Exynos 8 Octa in late 2015. It seems Samsung is not able to cover its tracks when it comes to the yet to be released successor of the Galaxy A7. 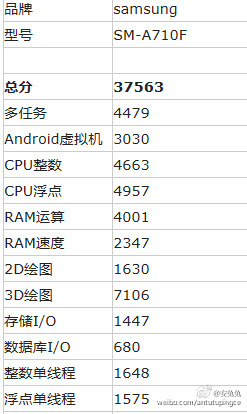 This time the smartphone showed up in the AnTuTu benchmark report and it seems the hardware setup is completely different from what was expected. Although it was rumoured that the smartphone would be powered by a Snapdragon 615 SoC, this report says the device is using a different chipset called the Exynos 7580. While the rest of the hardware specifications are not changed, it is safe to assume that there will be two variants of A7 and they will come with two different type chipsets. 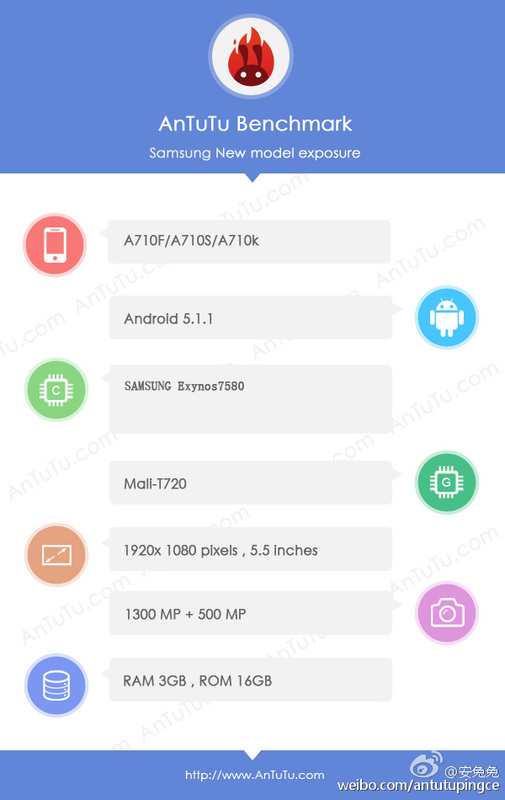 The Samsung Galaxy A7 spotted in AnTuTu can be recognised by the same model number that was spotted at Bluetooth SIG yesterday. But interesting fact is that instead of a Snapdragon 615, this terminal was using the same chipset as the Samsung Galaxy J7 and S5 Neo - the Exynos 7580. The chipset was built using 28nm technology and it has a total of 8 Cortex-A53 cores clocked at 1.6 GHz. The CPU operates in conjunction with a Mali-T720 MP2 graphics chip and 3 GB of RAM. According to the source, the performance of Exynos 7580 is also at par with the Snapdragon 615 and MediaTek M6752, generating an overall score of 37,563 points in AnTuTu's benchmark report. Samsung quite recently launched an upgraded Galaxy A8 smartphone in Japan and in the process it has made the original device more powerful. They unveiled new-generation Galaxy A series devices along with the 2016 Galaxy A3, Galaxy A5 and Galaxy A7. 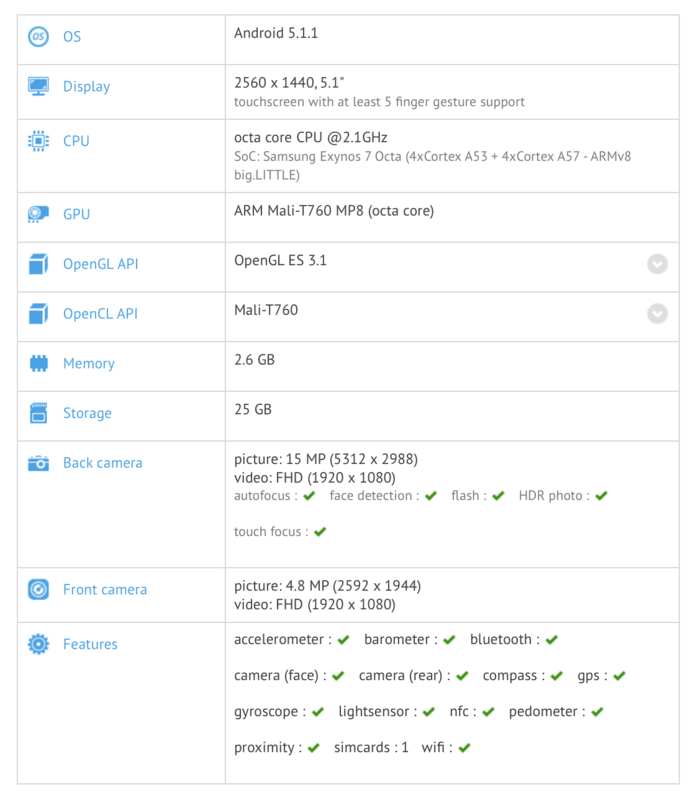 But a completely new variant of the Galaxy A8 was not launched. The much anticipated Galaxy A9 has not made its debut just yet either, but apparently the Galaxy A8 will come power packed. Although it has not been fully revamped, a new Galaxy A8 version for Japan has now entered the market, laced with a more powerful processor.. The original Samsung Galaxy A8 was unveiled back in August 2015 and it continues to increase its reach to new geographical regions. While that model was powered by either a Snapdragon 615 processor from Qualcomm or an in-house Exynos 5430 processor from Samsung, the new Galaxy A8 model made for Japanese market now boasts an Exynos 5433 SoC. This is a prominent upgrade for the CPU, as the Exynos 5433 is actually more powerful than the Exynos 5430 SoC found on the original Galaxy A8. Interesting thing to note here is that the CPU model numbers looks very close, but the two processors actually have many differences. According to the latest test results made public by GameBench, the Exynos 8890 powered Galaxy S7 has exhibited a significantly better battery life, in comparison to the Snapdragon 820 version that is available in the US. In fact the difference is enough to surprise you and not in a pleasant way if you are in the US. 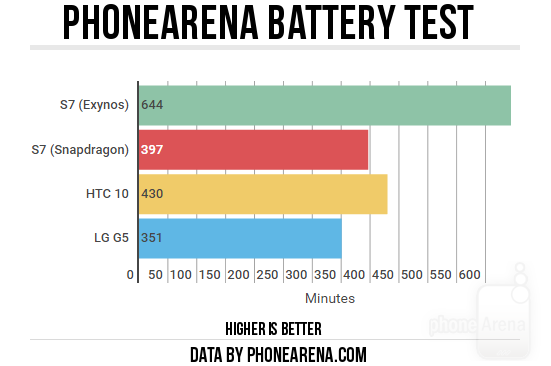 You can see all the data in the images, courtesy of PhoneArena, but the end result speaks for itself. Apparently, the S7 Exynos is 71% more power-efficient, as compared to the S7 Snapdragon version! 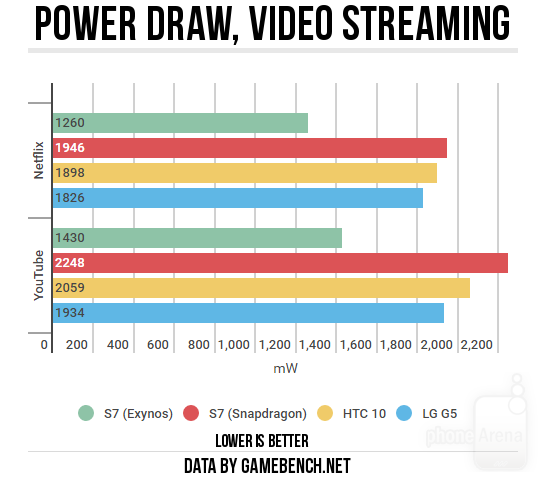 Sadly, it is even the least power-efficient device when compared to two other SD 820 powered smartphones, the LG G5 and the HTC 10. 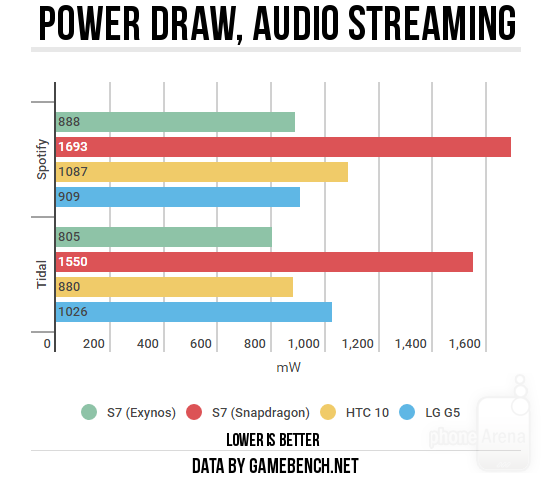 Even though the Snapdragon variant was almost neck-to-neck in terms of audio playback, the Exynos version did beat it in that department as well. Keep in mind though that the snapdragon variant of the Samsung Galaxy S7 was from Verizon and had the expected bloatware as a result. Nevertheless, the difference in between the two variants is just too great to ignore or blame on the bloatware. We found the disparity to be surprising and disappointing, what do you think? Earlier, Evan Blass (@evleaks) had tweeted about how the Galaxy S7 and S7 Edge are going to be released on February 21 at the Samsung Unpacked 2016 and now we have more confirmation about the S7 Edge as it goes through Geekbench for a run. As evident in the screenshot, the SM-G935F model number confirms that this is the international Exynos 8890 version of the Galaxy S7 Edge that we are seeing here. The models released in USA and China will sport Qualcomm Snapdragon 820 chipsets instead of the Exynos 8890. While the single-core score of 1363 and the multi-core score of 4951 are impressive, it is not in the same league as that of its Snapdragon 820 driven counterpart which scored 2456 and 5423 respectively for single-core and multi-core. If you are not reading this in the US or China, this might disappoint you a little, but we urge you not to invest too deeply into these results. While in their testing phase, all prototypes are made to run through different tests at different clock speeds. What this means is that the scores could very well be a result of underclocking. As expected, the screenshot confirms that the Galaxy S7 will come with Android 6.0.1 out of the box and will be aided in its multitasking endeavours by 4GB of RAM. We will keep you posted with the latest updates and rumors as they happen. 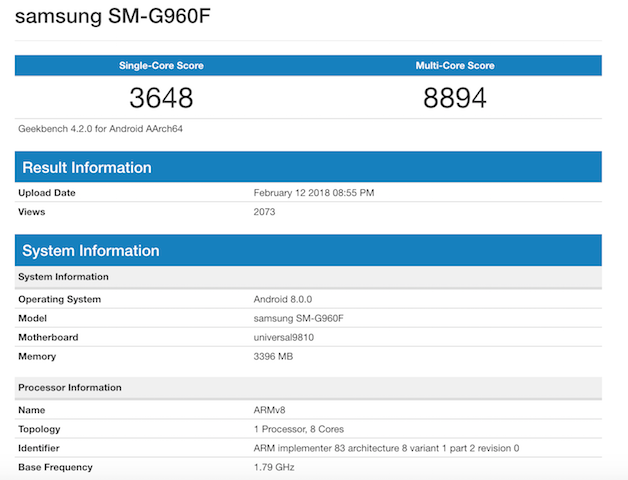 The SM-G935A had already been seen in the AnTuTu benchmarks, and it was the Snapdragon 820 powered version of the upcoming Galaxy S7. A few hours earlier however, a new report has come in about the SM-G930F, which is the S7 with the mysterious Exynos 8890 processor inside. Apparently, AnTuTu has leaked the specifications of the S7 with Exynos 8890 on Weibo, a very popular Chinese social networking website. As expected, the specifications in the SM-G930F do not deviate much from that of the SM-G935A. The Exynos model will have the same 5.1-inch QHD Super AMOLED display, 4GB of RAM, 12 megapixel Britecell camera sensor on the back, 5 megapixel selfie cam on the front and 64GB of internal storage (as made evident by AnTuTu on this particular model), that we saw with the SM-G935A. The good news is that all versions of the Samsung Galaxy S7 will come loaded with Android M 6.0 out of the box. 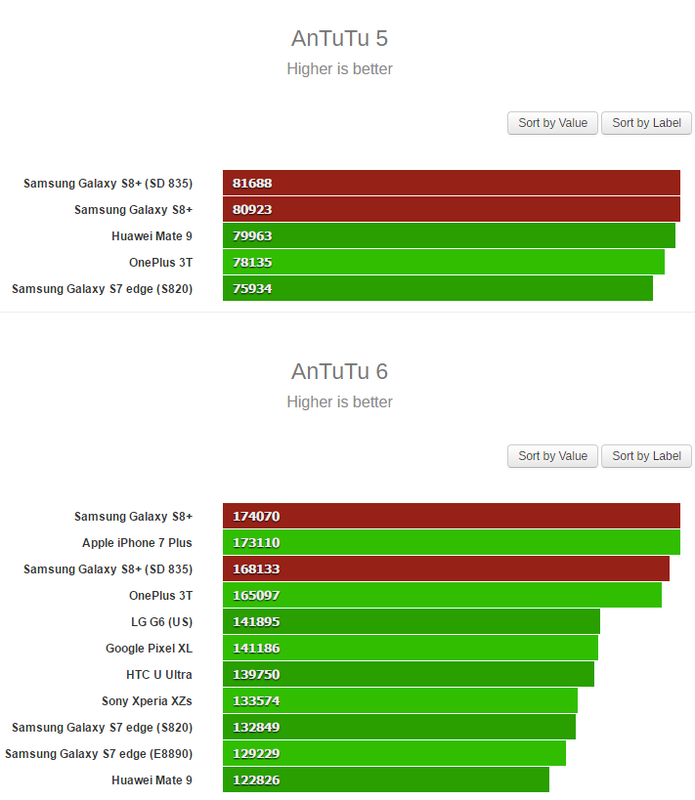 If you are eager to know the AnTuTu benchmark scores then you will have to wait a little longer as the S7 is still in its testing phase. Nonetheless, we are pretty sure that we will see the scores on their list very soon. 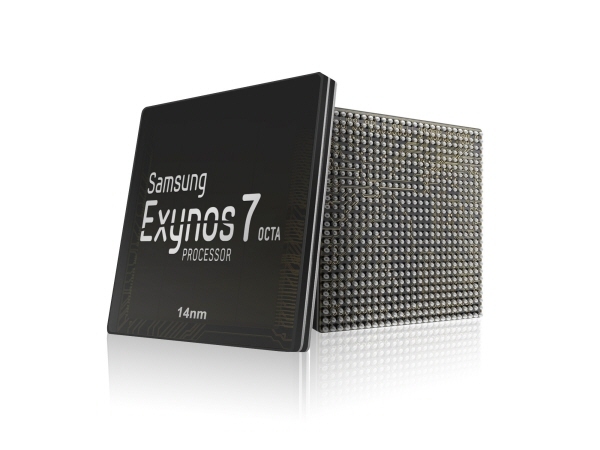 Samsung announced its first 64-bit Chip, the Exynos 7 Octa. It will be the first chip to fully supports Android 5.0 Lollipop which is also the first 64-bit Android OS. With the Exynos 7 Octa, the company is going to have a much better time with customers differentiating the more powerful Galaxy Note 4 from the Galaxy Alpha, which also packs an Exynos 5 Octa (5430). However, it's a much less powerful one with a quad-core 1.8 GHz Cortex-A15 and quad-core 1.3 GHz Cortex-A7 CPU. The Exynos 7 Octa features a octa-core cpu consisting of four Cortex-A57 and for Cortex-A53 cores made using Samsung's 20nm manufacturing process. This results in a 57% boost performance over the previous generation Exynos 5 Octa chipset and thanks to the new manufacturing process, draws less power, too. Samsung is Now rolling-out the Android 5.0 Lollipop update for the Exynos-variant of the Galaxy Note 3 (SM-N900) in India, Taiwan and some other regions. The Update is currently available in Over-the-air (OTA) and via KIES. This update packs Android build 5.0 with New Material Design TouchWiz along with Bug fixes, performance enhancements, new lockscreen, new notification bar and many other features, You can see the Update Hands-on Here. Other Note 3 variants will get the same update during this quarter (April - May - June). 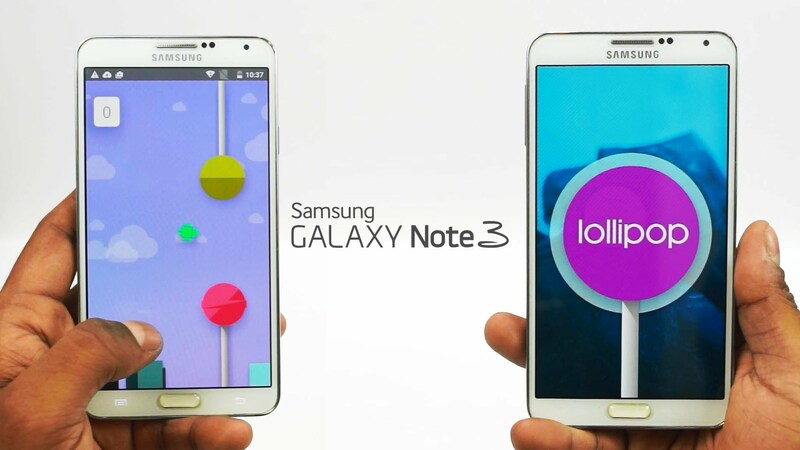 Use Our Odin 3 tutorial to know how to manually flash your Note 3 with this ROM. There were a few rumors around that were claiming that Samsung won't be making an Exynos variant of the Galaxy S8 this year. The rumors found some solid ground when it became clear that Samsung has exclusive rights to hog the Qualcomm Snapdragon 835 chip till the S8 is released in April. As the Korean company is developing the chips for Qualcomm on their own 10nm FinFET process this year, the suggestion that Samsung may ditch the Exynos series when it comes to the Galaxy S8, did not seem that farfetched then. However, Samsung has put those rumors and speculations to rest with their latest teaser about the Exynos series of processors. 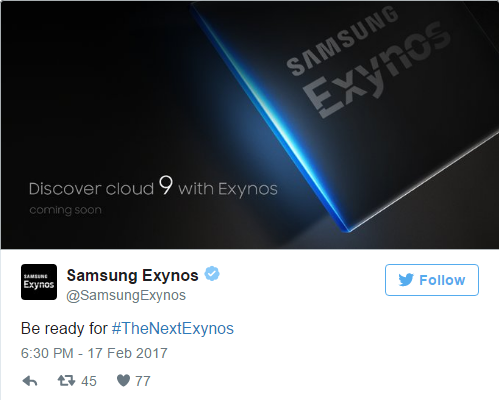 The Twitter post simply states, "Discover cloud 9 with Exynos" - coming soon. This could imply that instead of the rumored Exynos 8895 chip, Samsung will be launching its 10nm series 9 Exynos chips with the S8 this year. The Mali-G71 GPU which will probably be included in the SoC, is designed to handle 4K and VR with ease. Whether the performance can match up to the Qualcomm Snapdragon 835 or not is something that remains to be seen. Going by the history books, Samsung's flagship Exynos processors have always been almost as powerful as their Snapdragon counterparts, but with better power-efficiency. Although the Galaxy S8 won\'t be available for purchase until mid-April, we have news regarding the Tab S3 which Samsung is going to launch in a week or so, at the MWC 2017 in Barcelona. There are also a few recent snippets on other subjects which you might like. 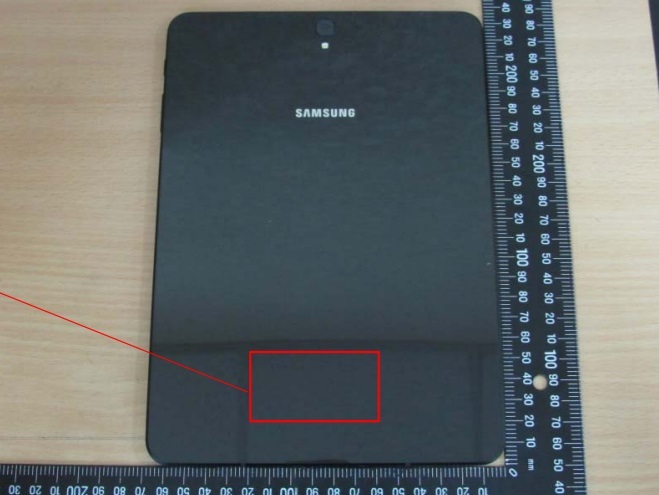 In a live image of the upcoming Galaxy Tab S3, leaked by the Taiwan National Communication Propagation Committee (NCC), a metal and glass build for the tablet was revealed. Samsung had submitted the tablet to them as a part of the regulatory pre-release approval in the country. The Tab S3 now has the certification number CCAH17LP0380T2 in Taiwan and should be available for purchase from early next month. Check out this Gear VR headset which is rumoured to come out with the Galaxy S8 and S8+ next month. 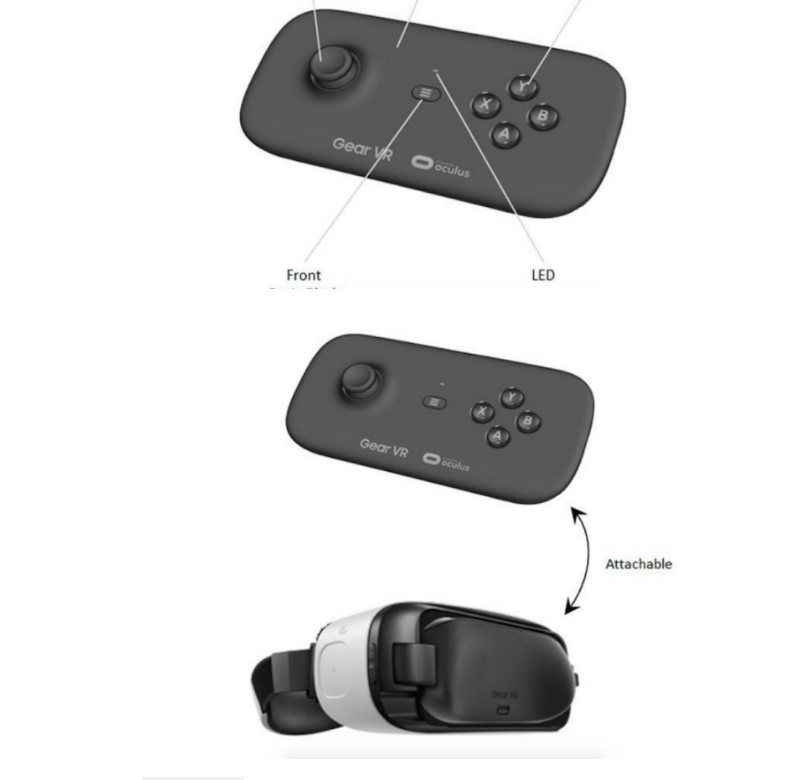 According to this leak by Roland Quandt, the new VR headset will have the model number SM-R324 and \"a single hand controller.\" We will have to wait and see if Samsung incorporates the controller with the VR headset in the same way Google did it with their wireless controller and the DayDream VR. We knew that Samsung is probably going to shift to Exynos series 9 from 2017 for its flagship SoC range, but thanks to an Indian intern\'s LinkedIn profile, we may also have the model number; Exynos 9810. The rumoured 9810M is supposed to have a more powerful Mali G-71 GPU with 20 cores, while the 9810V could have the slightly less powerful version of the same GPU, with 18 cores. That\'s it for now, but stay tuned as we will bring you more as soon as there\'s more to bring to you. The Exynos 8895 SoC which will power the upcoming Galaxy S8 has now been made official by Samsung. This is what Ben Hur, Vice President of System LSI marketing at Samsung Electronics had to say regarding the next Exynos chip. 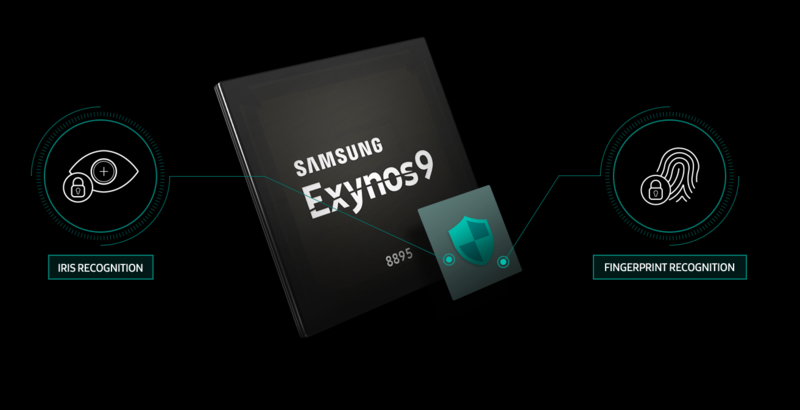 "In addition to being built on the most advanced 10nm FinFET process technology, the new Exynos 9 Series 8895 incorporates Samsung's cutting-edge technologies including a 2nd generation custom CPU, gigabit LTE modem, and more. With industry leading technologies like VPU, the Exynos 8895 will drive the innovation of next generation smartphones, VR headsets, and automotive infotainment system." 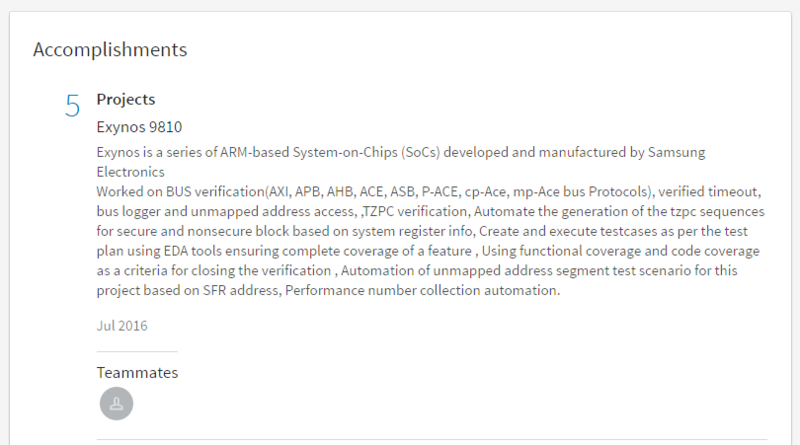 Also check the official image which details the chip's capabilities and specifications. The Exynos 8890 is still one of the most powerful mobile chips in the market at the moment, but the octa-coreExynos 8895 will provide 27% better performance at 40% better power-efficiency. The Mali-G71 GPU which will accompany the octa-core processor will be powerful enough to handle VR at 4K resolution, along with a multi-format codec for 4K video recording at 120fps support. We have to admit, that sounds amazing and we can't wait to see the Exynos 8895 in action when the Galaxy S8 comes out in April. 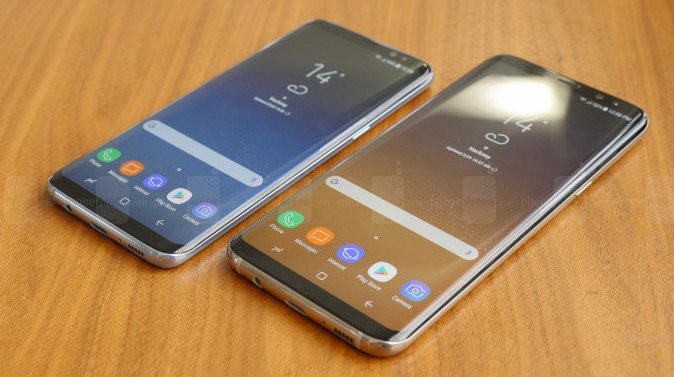 The details about the Galaxy S8 series and the two chips which will be powering the flagship handsets when they are launched in March are now out and about. Although most of the info regarding the S8 is based on leaks and rumors, the Exynos 8895 and the Qualcomm SD 835 have already been unveiled by the manufacturers. Therefore, let's do a mini comparison in-between them to see if any one of them can be called better than the other. As you can probably see, it's hard to declare a clear overall winner, although the Mali-G71 MP20 GPU seems to be more capable compared to the Adreno 540 in terms of video recording and video playback. Everything else seems more or less neck-to-neck. 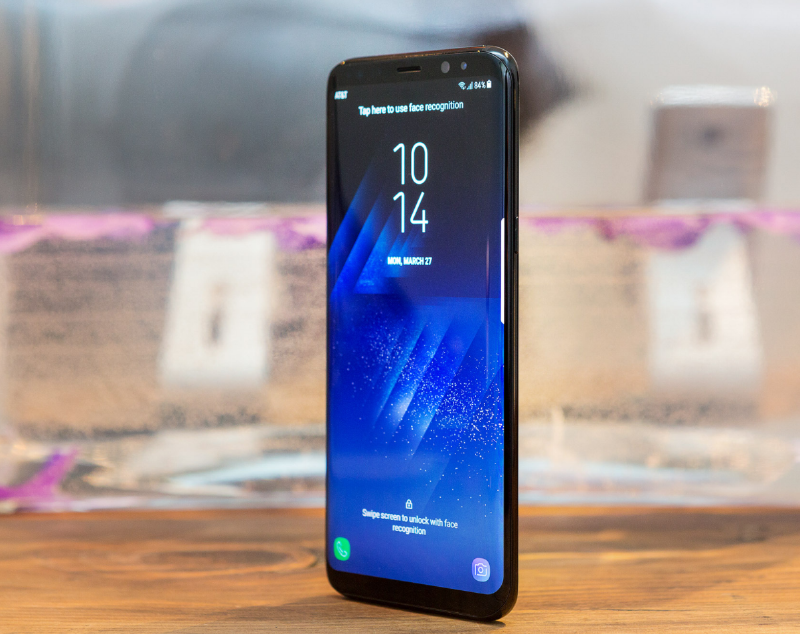 Apart from the Snapdragon 835 and Adreno 540 powered versions of the Galaxy S8 and S8+ that have been launched in the US, Canada, China and Japan, the two smartphones also have an international version for all other countries, which is being powered by Samsung's in-house chip, the Exynos 8895 CPU and the Mali-G71 MP20 GPU. According to multiple test results made public by GSMArena, it seems that the Mali-G71 GPU is quite a bit more powerful than the Adreno 540 as the former manages to beat the latter in almost all benchmarking tests. It should be noted that both the SoCs are made by Samsung on their own 10nm FinFET process and have almost identical features and capabilities. You will find the following screenshots of the test results to be self-explanatory, but it was a bit surprising to find that just like last year, the Exynos CPU is faster than the Snapdragon 835 this year around as well; at least in most tests that is. The Qualcomm chip managed to win back a few as well. 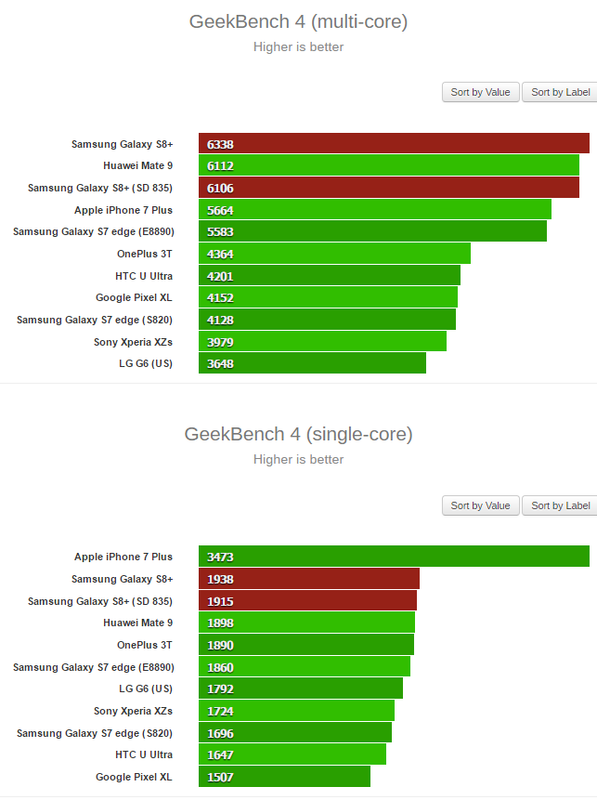 The most interesting observation according to me is how the iPhone 7 plus still manages to mop the floor with all Android handsets when it comes to single-core performance in both GeekBench 3 and 4. 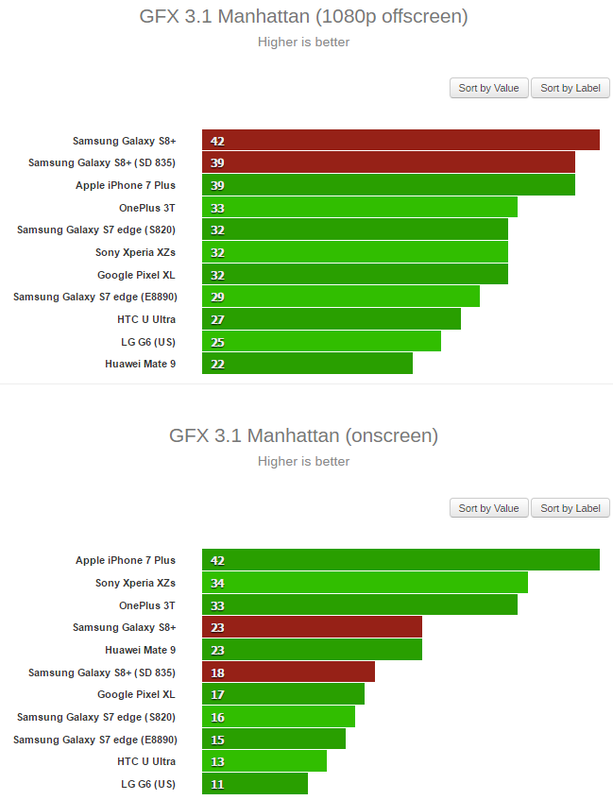 When it comes to AnTuTu, the iPhone 7 Plus was beaten by the Galaxy S8+ Exynos version, but not even by a 1000 points! The SD 835 powered S8+ on the other hand, lost to both its Exynos counterpart and the iPhone 7 Plus significantly. 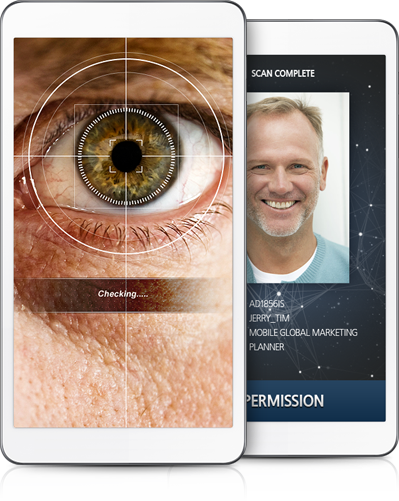 Check out GSM Arena for the rest of the test results in detail. You can now officially buy the Exynos variant of the Galaxy S8+ in the US and that's definitely good news for those of you who like Samsung's own 10nm Exynos 8895 chip more than Qualcomm's 10nm Snapdragon 835. Keep in mind though that both the chips provide near-identical performance when it comes to benchmarks and indiscernible performance when it comes to real life usage. Even then, it's worth knowing that the Exynos version has a more powerful GPU; the Mali-G71 MP20. You can either buy the device unlocked at full price or from a few carriers that are offering monthly plans for the expensive smartphone, just like the Snapdragon variant. Unfortunately, since the SM-G955FD works only with GSM networks, it won't work on CDMA networks like the ones used by Verizon and Sprint. AT&T and T-Mobile users on the other hand will easily be able to sue the Galaxy S8+ Exynos variant on their networks. We knew that the American and certain other versions of the Galaxy S9 and S9+ is going to be powered by the Qualcomm Snapdragon 845 and now we also know which Exynos chip is going to power the international variants of the two handsets. The Exynos 9810 is what we are looking forward to being unveiled at the CES 2018 next week and it's going to be a very powerful chip. With a maximum clock speed of 2.9GHz on the four performance cores, the Exynos 9810 is expected to be 40% more powerful than the current gen Exynos 8895 which is powering the S8, S8+ and the Note 8. The included Mali G-72 GPU will also be 20% more capable as compared to its predecessor, the Mali G-71. AI-based depth sensing and hybrid face detection via software and hardware are going to be the highlights of this chip though, rather than just the power. What this means is that we will probably see a more enhanced version of face detection, similar to what we have seen in 2017 on the Apple iPhone X. The chip will also have an in-built 1.2 Gbps LTE modem with 1.2Gbps download and 200Mbps upload speed capabilities. The Exynos 9820 for 2019 is Revealed: 8K Video Recording and 8nm Process? The Huawei 7nm HiSilicon Kirin 980 is the current champion of Android SoCs, but it looks like the latest Exynos chip is all ready to challenge it. While that may or may not happen, at least there is no doubt about the fact that the 8nm Exynos 9820 is going to be significantly more powerful than the current gen Exynos 9810. In fact, it will even be able to support 8K video recording, which is something that may not have much use as of now, but it definitely highlights the prowess of the upcoming SoC. Check out some of the highlighted features of the chip below, as showcased by Samsung during the unveiling earlier. This is good news for those that are waiting for the Galaxy S10 to upgrade, especially since it all but confirms the fact that there will indeed be three rear cameras and two front cameras on the Galaxy S10+ in 2019. Tags: samsung galaxy now official with new unibody design qhd display exynos 64-bit specs official samsung galaxy edge+ plus pack 4gb ram exynos 7420 samsung shows off latest processor exynos octa exynos 7850 powered samsung galaxy shows antutu benchmark report samsung galaxy launches japan with exynos 5433 soc [official news] upcoming samsung exynos 8895 could clocked 4ghz based 10nm nodes samsung galaxy exynos version beats its snapdragon counterpart terms battery life geekbench meets galaxy edge exynos antutu confirms specs samsung galaxy with exynos 8890 benchmark scores follow samsung announces 64-bit exynos octa chip samsung galaxy note exynos n900 android 5.0 lollipop update rolling-out india samsung's upcoming new exynos soc pack custom cores samsung making exynos variant galaxy just always gear with controller exynos 9810 metal-glass build tab exynos 8895 with 27% better performance than 8890 goes official qualcomm snapdragon 835 vs. exynos 8895 galaxy vs. s8: mali-g71 gpu inside exynos 8895 outperforms adreno 540 qualcomm’s 835 soc can now buy exynos variant galaxy s8+ next gen flagship exynos 9810 announced exynos 9820 2019 revealed: video recording 8nm process? The S7 will probably be unveiled next month at the MWC, but we still know nothing too definitive about it. There have been multiple rumors and some of them even sound quite convincing, while others are downright conflicting. Amongst this secrecy and confusion, a new report has come in about two Exynos versions of the Samsung flagship being spotted at an Indonesian certification site, which lists the model numbers as Samsung - SM-G930FD and Samsung - SM-G935FD. 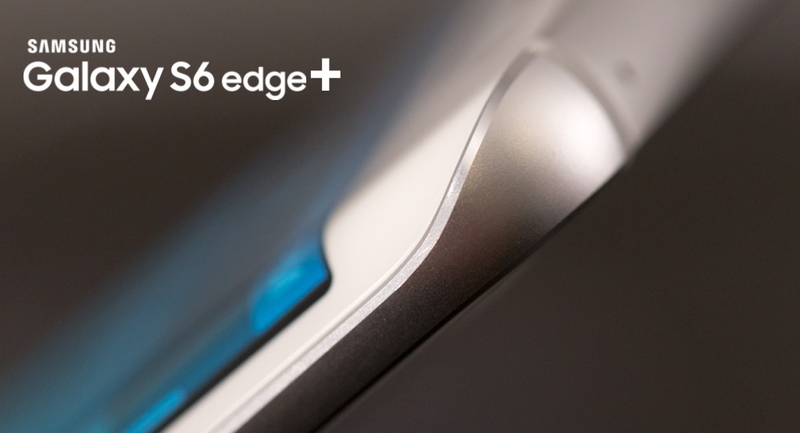 The S6 had the model number G920, while the S6 Edge was branded as G925. Therefore, the G930 and the G935 are most likely to be their future counterparts. The letter "F" in G930FD and G935FD almost certainly stands for "Exynos" versions as "A" has traditionally stood for AT&T models and the AT&T models are probably going to sport the Snapdragon 820 chipset. "FD" in the model numbers represent dual SIM capabilities as we saw with the SM-G920FD edition of the S6 last year; which were sold in certain Asian countries like Philippines and Pakistan. The other rumoured specs of the Galaxy S7 series remains the same as before with alleged Quad High Definition Super AMOLED displays, three screen sizes (5.1", 5.7" and 6"), two screen variations (curved and flat), 12 megapixel Britecell rear cameras, 4GB of RAM, waterproof body, beefier battery, Android 6.0 Marshmallow out of the box and may be even expandable memory! 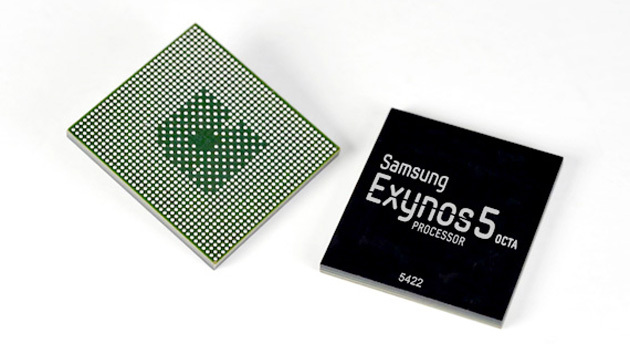 The Samsung-made Exynos chipset turned out to be the best SoC that came out this year. It is indeed better than the competitors. Earlier it was used primarily in Samsung's high-end devices and Meizu's Pro 5 was also powered by this. Although, Blackberry's very first Android smartphone - the Priv featured Qualcomm-made Snapdragon 808 chipset, Blackberry is now testing its devices with the Exynos keeping in mind the Android phones to be released in the future. We're saying this because a BlackBerry handset running on Android 5.1.1 Lollipop and featuring Samsung's Exynos 7420 SoC has been spotted in the GFXBench database. It is using the Exynos 7420 64-bit octa-core processor clocked at 2.1GHz. But, take this news with a pinch of salt, as the credibility of the source is has not been confirmed till now. It is quite easy to edit the build.prop file to make it look a Blackberry device. There is a possibility that Blackberry might be actually testing its devices with Exynos, which also powers the S6. The handset has a 5.1-inch QHD touch screen, 3GB of RAM, 32GB of storage, a 16 MP camera in the back and a 5 MP selfie camera. If you already have Android 6 running on your Galaxy S5 in India, then your device is probably powered by the Qualcomm Snapdragon 801. The Snapdragon variant was released in India following a few months post the original release of the Galaxy S5, which was powered by the Exynos 5422. After rolling out the Marshmallow update to the Snapdragon version, Samsung has now started to update its Exynos variant of the S5 with the same. There are two ways that users in India can download and install the update; the first one is of course, Over The Air or OTA. You should soon see a notification, prompting you to download the package, as soon as it arrives on your smartphone. Although every smartphone will not receive the update at the same time, you can always check from Settings > About device > Check for updates to be sure. The second method of updating involves connecting your phone to your PC via Samsung Smart Switch. Your PC must have an active internet connection to complete the entire process. Did you install it yet? 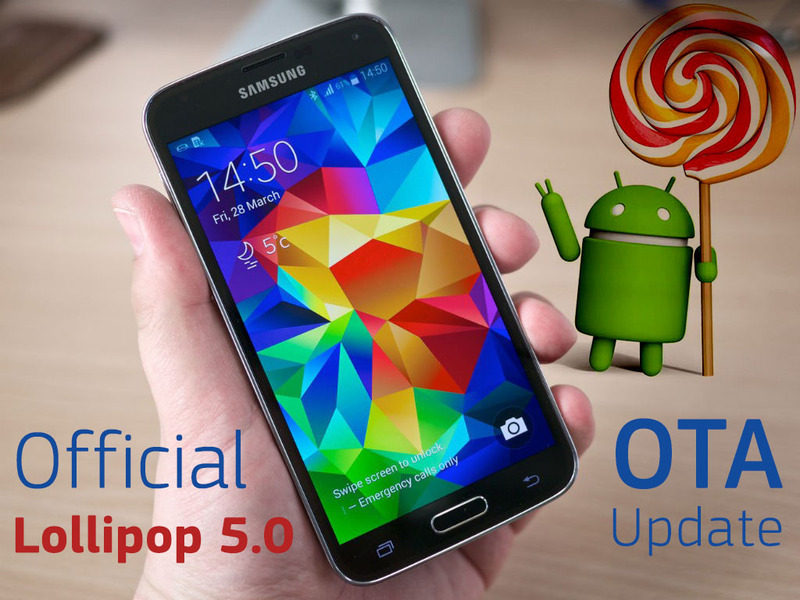 After updating the Snapdragon 801-powered Samsung Galaxy S5 (SM-G900F) to Android 5.0 Lollipop, Samsung has just started Rolling-out the official Android 5.0 Lollipop OTA update to the Exynos-powered Galaxy S5 Octa-core (SM-900H). The first market to get this Lollipop update is "Kazakhstan", but we expect more countries to get the new firmware very soon. Galaxy S5 (SM-900H) Lollipop update brings the same features as the original Galaxy S5 which includes Material Design, New lockscreen and a lot of performance improvements and bug fixes. you can check the update Hands-on video here. To see if your region/carrier got the Lollipop update, Check this Samsung Update Status Page that gather all official OTA updates in one place. The kernel sources for Samsung's latest and greatest flagship smartphones have been released by the company but as of now, only the kernels of the Exynos 8895 powered variants have been made available. Nevertheless, it's good news and I am pretty sure that Samsung will be releasing the same for the Qualcomm Snapdragon 835 powered American and Chinese variants as well. If you are not aware what the kernels will be useful for, then let us inform you that these are necessary to build custom firmware that many Android smartphone enthusiasts love. Of course that may not be the best idea right now as the device is still new, but a year down the line, new firmware can make a lot of difference for a lot of users. The first of the custom firmware kernels should be ready within the next few weeks or so. Would you be trying any of the custom ROMs on your S8 or S8+ anytime soon? Or would you rather build one yourself? Speaking of custom firmware, head over to our firmware section to find a whole range of them for your Samsung smartphones and tablets. We knew that the Qualcomm Snapdragon 845 was going to be the most powerful Android chip, just like it was last year, but if the latest Geekbench score is anything to go by, it has met its match and then some! 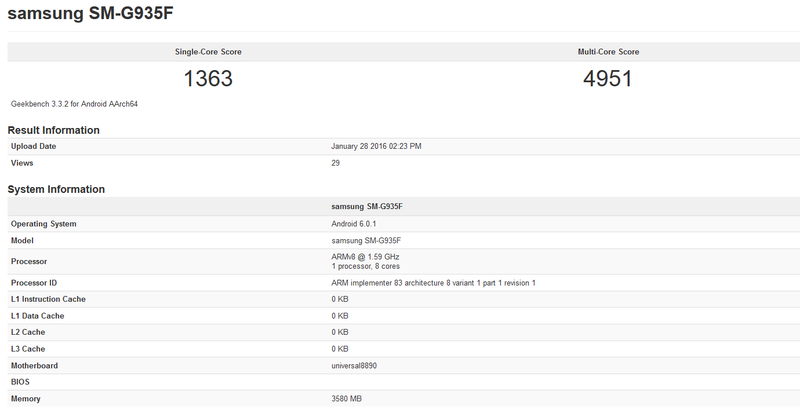 Apparently, the Galaxy S9 international variant aka, the Exynos 9810-powered version of Samsung's upcoming flagship handset scored 3648 on the single-core test and 8894 on the multi-core test, both of which are significantly higher than the previously leaked scores of 2400 (median) and 8400 (median) of the SD 845. The Exynos's score looks particularly impressive if you look at the single-core score, which is more than1200 points ahead of the SD 845's single-core score and that's mighty impressive. 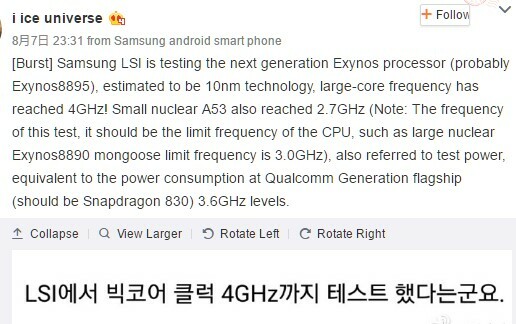 It looks like rumors regarding the SD 845 being a mid-level chip in comparison with the Exynos might just have some truth to them after all! 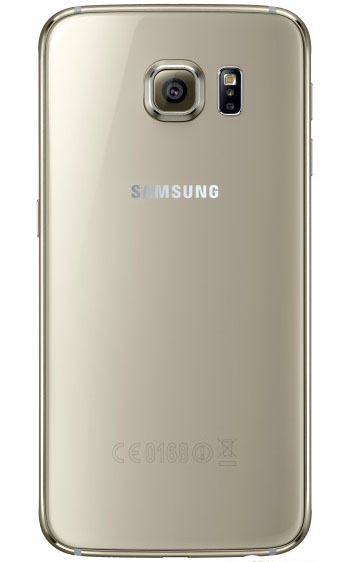 The Exynos variant was identified as the model number clearly states SM-G960F; which would most obviously be the S9's international variant with the Exynos chip. Take a look at the leaked screenshot for more details.